Big Sur is one of those rare communities whose culture isn’t compromised by its size. In its musical lineup alone, Big Sur’s Henry Miller Library often dwarfs any venue in San Luis Obispo County, yet it exudes none of the expected snobbishness. After all, this is a place with really only one road (Highway 1), where sleepy Pacific Grove is referred to as “town.” The library’s namesake may have described Big Sur as “the California that men dreamed of years ago, the Pacific that Balboa looked at from the Peak of Darien, this is the face of the earth as the Creator intended it to look”—but if it’s groceries you want, you may have to drive to Carmel. 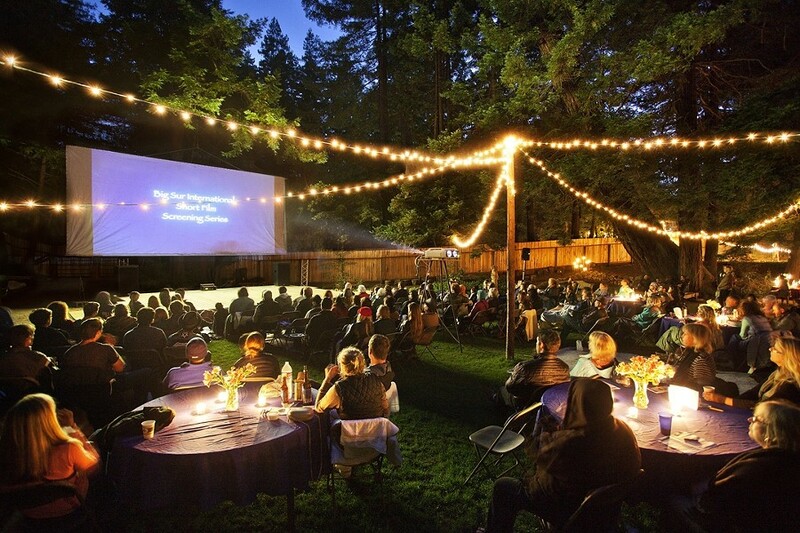 FILM UNDER THE STARS : A summer screening series brings short films from around the world to Big Sur’s Henry Miller Library. So it’s no surprise that this mystic jewel of a place would, in its casual manner, play host to a fantastic series of international short films. The Big Sur International Short Film Screening Series (handily abbreviated BSISFSS), which kicked off earlier this month at the Henry Miller Library, doesn’t even call itself a festival—and yet it boasts a lineup of judges that would be the envy of most festivals. Phillip Glass, Kirsten Dunst, experimental performance artist and musician Laurie Anderson, Oscar-winning cinematographer Vilmos Zsigmond (Close Encounters of the Third Kind), independent filmmaking brothers Mark and Michael Polish, film editor Susan Littenberg (who has worked with Jim Jarmusch, Ang Lee, and Stephen Soderbergh), and Lightstream Pictures’ president Lawrence Inglee juried this year’s selections. Screenings take place Sundays through July 14. Below is a glimpse at the BSISFSS’s offerings this week and beyond. Tom Van Avermaet directs this steampunky Flemish fantasy; a film that doesn’t waste time wondering whether or not the viewer is on board with its highly absurd synopsis. Instead, the Oscar-nominated Dood van een Schaduw plunges us straight into its stylized, sepia-tinged, yet ultimately poignant alternate universe. Deceased soldier Nathan Rijckx (Matthias Schoenaerts), living in limbo between the realms of the living and the dead, is obsessed with Sarah Winter, a girl he met moments before he died (Laura Verlinden). In an effort to regain access to the world of the living, Rijckx travels through time collecting the shadows of the dying, which he brings to the Collector of Shadows (Peter van den Eede), a sinister character who wears sunglasses indoors at night and critiques the silhouettes Rijckx brings him as if they were works of fine art (at one point even waxing lyrical over the “spontaneous aesthetics” of murder). Rijckx has almost captured enough death-shadows to earn his second life, but when his journeys through time lead him to Sarah’s lover, well … things take an unexpected turn. I BELIEVE I CAN FLY : Actors Zen Lester, Tyree M. Singetary, and Malakot Barker are pictured in this still from Robert Kolodny’s Fly on Out, shot on location in Brooklyn. YOUNG LOVE! : Lennart (Sebastian Warholm,) fantasizes about the beautiful Julia (Heppa Marie Bay) in this dreamy scene from Norwegian writer-director Nina Knag’s short Towards the Sun.